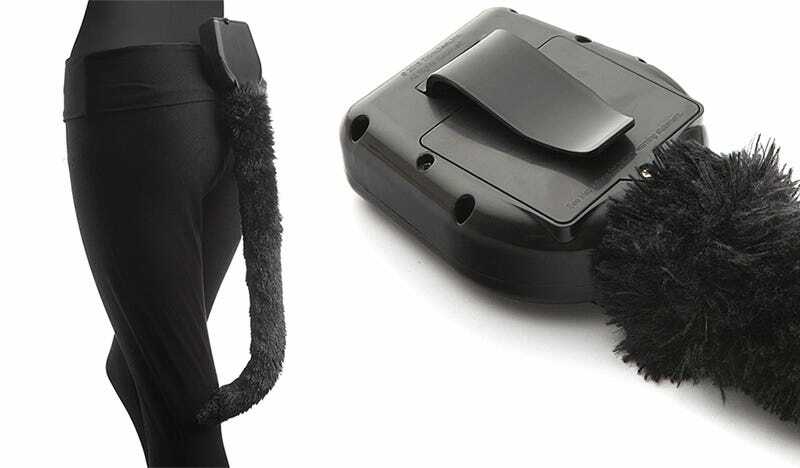 For $35 ThinkGeek will now sell you an animatronic cat tail, powered by four AA batteries, that will contentedly swish back and forth as it hangs from the back of your pants. You can pretend you’re buying it for cosplay reasons, or maybe for a Halloween costume, but deep down you know it’s really your first tentative step towards becoming a furry. Not that there’s anything wrong with walking around pretending to be an anthropomorphic version of a house cat. If that’s how you want to spend your weekends/weekdays/every last waking second, more power to you. ThinkGeek’s creation is probably a lot easier and cheaper than buying all of the components needed to build one of these for yourself. Just make sure you’re careful if you find yourself in a room full of rocking chairs.